Travelers often want to know which products from the Netherlands can be taken back to their home country and which won't make it past the door. Food, alcohol, and flowers can be some of the most popular souvenirs that tourists want to import into the United States, but there are strict restrictions on these items. Good news: Most of the Dutch food and ingredients that visitors come to know and love on their trip are allowed to be imported into the United States. 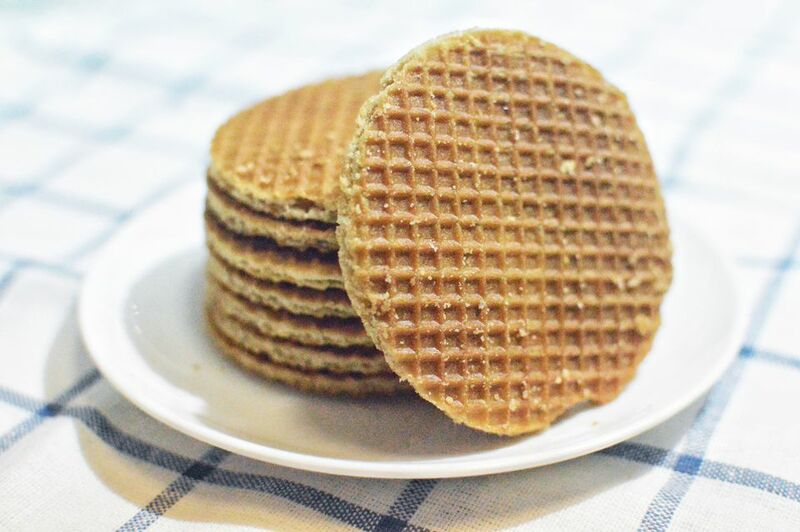 This includes baked items such as stroopwafels (syrup wafers); sweets, like the classic Dutch drop (licorice), and chocolate; peanut butter, or pindakaas; coffee, from the rare and exotic kopi luwak to favorite Dutch supermarket brands; and even cheese. Cheese must be vacuum-packed, a service that most cheese shops offer for international visitors. Unpasteurized or raw milk cheese are prohibited, but the popular cheese varieties in the Netherlands—like Gouda and Edam—are fine. Other prohibited items include meat (and products that contain meat; fish, however, is permitted), fresh produce, absinthe, and alcohol-filled sweets. So be sure to have that last kebab and finish up your farmer's market finds before you depart. Travelers age 21 and over are allowed to import up to one liter of alcohol into America, free of duty and taxes. This doesn't take into account the alcohol content of the drinks; for the purposes of U.S. Customs, wine, beer, liquor, and typical Dutch spirits such as jenever, kruidenbitters, and advocaat all count the same toward the one-liter limitation. Anyone who wishes to import more than one liter can do so; however, duty and taxes will be levied on these items. Some states impose stricter limits than the federal one-liter limitation, so be sure to check your state's laws in case of uncertainty. If you want to import tobacco, only 200 cigarettes (one carton) or 100 cigars can be brought into the U.S. free of duty and taxes. However, Cuban cigars are still under embargo and therefore prohibited. Similarly, marijuana may be popular (and legal) in Amsterdam, but it is definitely not allowed in the United States. Pre-approved flowers are allowed into the U.S. but under strict conditions. Flowers must include a sticker that reads, "To the Plant Protection Service of the United States and Canada," as well as the botanical name of the flower and the date of issuance. Without a valid sticker, the flowers will not clear U.S. Customs and Border Protection.